Heartsick embodies passion and hard work. Beginning in Lansing, Michigan , the 4-piece group has been building a fanbase throughout the midwest and across the US for nearly 20 years. Through blood, sweat, and a ferocious live show, Heartsick has developed a reputation as a force to be reckoned with on stage, and for their professionalism behind the scenes. 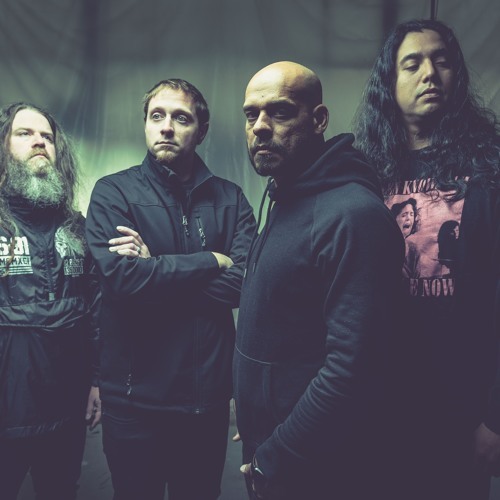 Since their formation in 2000, the band has toured extensively, headlining performances and providing support for acts such as Every Time I Die, Fear Factory, Hatebreed, All That Remains, and many others. They’ve appeared on the Van’s Warped Tour, Dirtfest, Mayhem Tour, and the Ink In The Clink Festival, as well as countless venues throughout the country. Heartsick has been a Coldcock Whiskey sponsored artist since 2014. With multiple albums under their belt, their music can be heard on Pandora, in Q106 FM rotation, and as a featured artist on ReverbNation’s Metal Monday. Originally performing under the name Know Lyfe, members Alfonso Civile, Waylon Fox, Jerred Pruneau, and Justin Robison have a fresh name and new energy, stacked upon years of experience. Heartsick operates under a simple philosophy: treat every show as the last, and every fan as the first.